If you’re not from the valley, then you probably don’t think of it as a food haven. Fine! We like living here because the places are easy to get to. get here early, plan to stay late. confirmed I’m only human, although I still believe that I carry X-Men type powers(like the ability to never fall asleep). Writing a food and drink preview was far easier than putting together my architectural and cultural guide. Why? All you have to do is look at me. As much as I cycle, I’m still thicker than you think because me’s love to eat a bit. Here’s what you need to know. If you think you know more, please add your thoughts to the comments! Best Breakfast: My favorite two breakfast spots bookend CicLAvia. 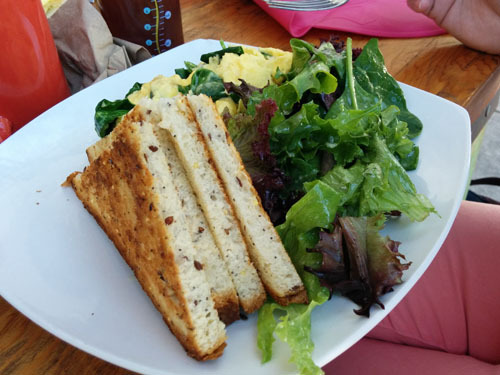 At one end, lies Eat, serving one of the freshest tasting and hearty breakfasts all day. At lunchtime, I always go back and forth between their Omelet or Tuna Sandwich, but I’ll spoil myself with the chocolate chip pancakes from time to time. At the other end, River Rock sits inside Sportsmen’s Lodge serving my favorite Sunday Brunch. You get a Vegas style buffet for only $25 and bottomless Mimosas for another $12. Plus, the outdoor patio is an urban oasis where you can pass the day. 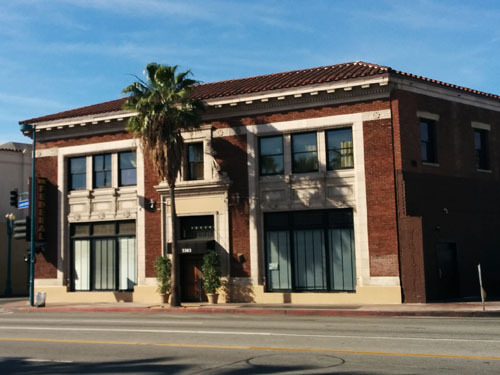 Sushi Capital of Los Angeles: Whaa??? Believe it. I could just mention the original Katsu-ya still sits at Ventura & Colfax and that would be enough. Down the street, SUGARFISH by Sushi Nozawa is where the master gained the name the “Sushi Nazi”, a la Seinfeld. Toyko Delve’s on Lankershim is an institution that’s always hard to get in at night and Asanebo has been taking the reigns as one of the best sushi restaurants in the city….and this is just the tip of the iceberg! Connoisseur Training: Flask Fine Wines has endeared Studio City drawing the community in for their wine tastings. During Ciclavia, they will be holding a special beer tasting from 11a – 5p featuring 1/2 pint pours of St. Archer White, Black Market Rye IPA, Modern Times’ Blazing Work and Black House for $3.50 with proceeds benefitting the LA County Bicycle Coalition. 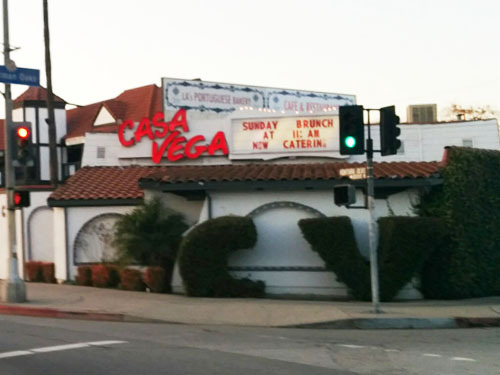 The Vendome Liquors on Ventura(yes, I’m lucky I have two Vendomes within a couple of miles) will be hosting a tasting of their own from 11a – 3p featuring a flight of five beers for $10. Top Chefs: Bigger names are starting to fill the valley creating a scene of our own. CJ Jacobson’s took the food scene by storm opening Girasol two years ago, where you’ll find his California Cuisine offerings on top of every food critic’s lists. Following his SweetSalt success, Alex Eusebio opened Cascabel last year, quickly gaining acclaim on eater heat maps serving seafood-centric mexican food. While not from the TV show, Barrel and Ashes put together a superstar team from the Thomas Keller group offering what I call gourmet barbecue. Landmark Deli: This is my least informative entry as they are most obvious superlatives I could add. Art’s Delicatessen has been serving their classic sandwiches going 57 years strong, defining the meaning of institution. In close proximity, Jerry’s Famous Deli has one of the broadest menus which also includes LA and NY portions of their signature sandwiches. Tiki Time: Bet you never thought this, but NoHo is also the king of Tiki Bars. Tiki No lies squarely in the Lankershim portion of the route already one of the most popular bars in the area. A block off the course on Magnolia, Kahuna Tiki serves sushi and has one of the best outdoor lounges in the valley. A little bit of a stretch from the NoHo station lies the Tonga Hut, holding the distinction of being LA’s oldest Tiki bar since 1958! I can’t quite decide: If you’re more from the small plates and sample crowd, Black Market Liquor Bar serves a variety of comfort food that changes on a daily basis. The Village has an immersive environment where you can grab bites of crispy cauliflower, baby back pork rib and truffle jalapeno mac & cheese. Take a Bao can’t be missed for their distinctive design along with their many bao choices and small plates. Mexican Staples: Now celebrating it’s 63rd year, Ernie’s Taco House attracts many families, especially across the street from sunday church where you’ll get traditional mexican fare. 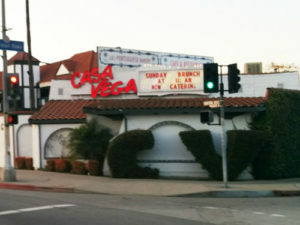 Just a half mile west of the Studio City terminus, Casa Vega is another institution dating from 1960 where you may find a celeb or two grabbing a margarita. I miss you Brad & Jen! possibilities. 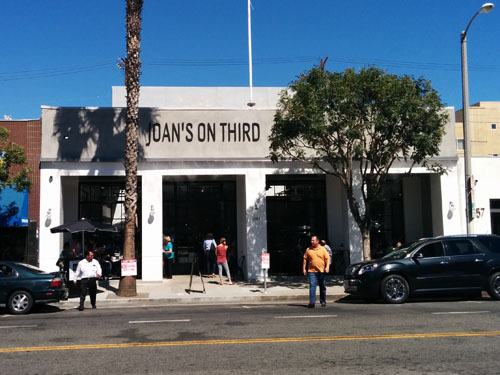 You can also grab a dog and enjoy North Hollywood’s new parklet. Spread PB is the restaurant we all dreamed about, serving everything Peanut Butter, and will be mixing it up with Hollywood Curling this Sunday. Pitfire Pizza is great for families, but even moreso for the food. While the pizza is delicious, I’ll go all over the menu ordering the steak panini and their market vegatables. Fine Casual: If you’re looking for artisan styled food, but not wanting to pay white tablecloth prices, you won’t have to look far. Come for the fromage, stay for the great sandwiches at Artisan Cheese Gallery. Also, remember to partake in their finely crafted wine and beer selection. Without skipping a beat, Joan’s on Third recently opened their second location featuring a wide variety of marketplace offerings featuring grilled meats, fish and poultry, roasted seasonal vegetables, soups and salads. Granville brings a strong choice of sandwiches, pizzas and salads favoring local, organic practices. The Spice of Life: Looking to add a little more variety to the day? Royal Curry Cafe modestly sits on Lankershim serving Indian food with hints of nuts, peppers and a blend of spices. Hy Mart is another gem tucked away in a mini-mall offering Mediterrean Fusion sandwiches that some say are the best in the city. If you don’t believe me, check out their yelp reviews. Drunken Noodles? Green Jungle Curry? Shrimp Papaya Salad? The answer is The Rustic Spoon to fulfill all your thai needs. Best Gastropubs: Who really wants to pare down this category? Try the Bacon Bleu Cheese Burger or Steamed Mussels at Laurel Tavern to go along with a California microbrew, but remember to order at the bar. Stout rests further down Ventura with a variety of burgers specifically paired with their beer selection. The Federal Bar sits just off the NoHo Metro Station quickly becoming one of the area’s main hotspots. A few doors down, the District has the best beer selection on the route. Lastly, the Six is a welcome, more upscale entry that can double as an excellent first date spot.